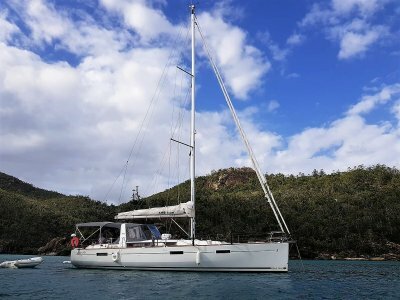 With comfort, stability, low draft, economy and the incredible living space of a catamaran, the Aquila 44 is the ideal motor yacht for exploring Australia's coastal waterways. 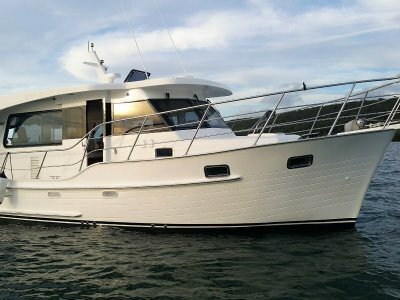 The remarkable Aquila 44 features three cabins, three heads, air conditioning, Genset, and three entertaining spaces with ample room to enjoy being out on the water with family and friends. The power catamaran is easy to use and economical to run with Volvo Penta D4 300HP diesel engines. Her upper deck features a roomy flybridge with BBQ, fridge and icemaker for all day entertaining. Down below, a fully equipped galley and built-in bar is a clear crowd pleasure. The owner's cabin with king size bed and ensuite ensures a good night rest with two more queen size beds in the guest cabins available for family and friends. The Aquila 44 is based at the prestigious Royal Queensland Yacht Squadron in Brisbane, Queensland. The boat is ready and eager to explore Moreton Bay, the Broadwater and beyond. With cruising speeds at 18 knots, anchorages such as Tangalooma and the Horseshoe Bay are within easy reach. 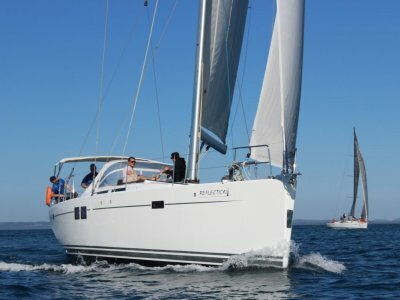 In 2018, the boat and her owners have visited Sydney Harbour, the Great Sandy Straits and Hervey Bay. In 2019, she will be visit the Whitsundays between July - October. 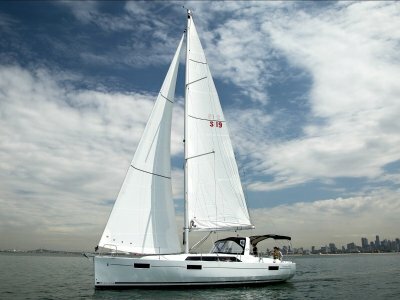 "Temptation" is managed with Yachtshare's successful syndication program, offering shareowners 33 days usage per year. Boat sharing makes boating easy, convenient and affordable. Our walk-on/walk-off service allows you to spend more time enjoying the boating lifestyle and less time with the hassle of owning a boat. EBIRB, Fire extinguishers, Fire suppression in engine bay. 6 house batteries, 5000VA inverter, genset.